The removal, cleanup and prevention of infestation is a three step process. 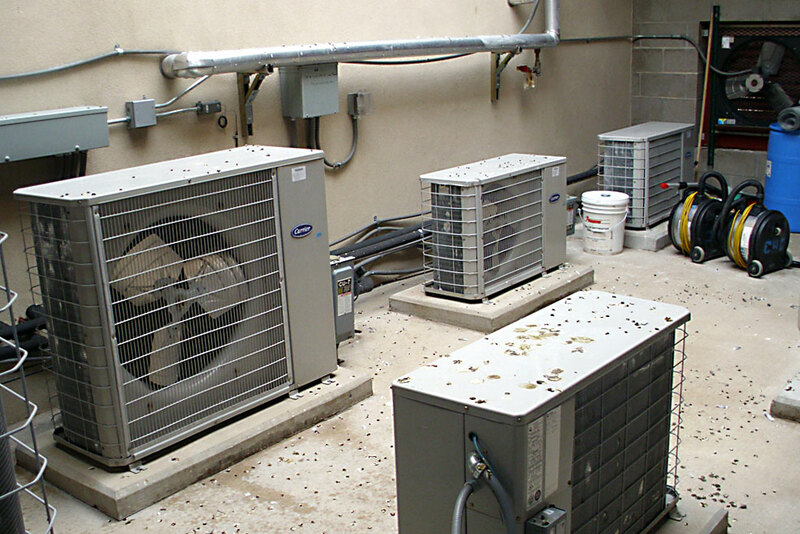 Once roosting or nesting on or in commercial buildings begins, you will be unable to prevent the re-entry and re-contamination of the site without repairing the access or installing prevention devices. Colorado Hazard Control applies all three principals to every situation while employing the latest cost effective technologies to resolve issues. 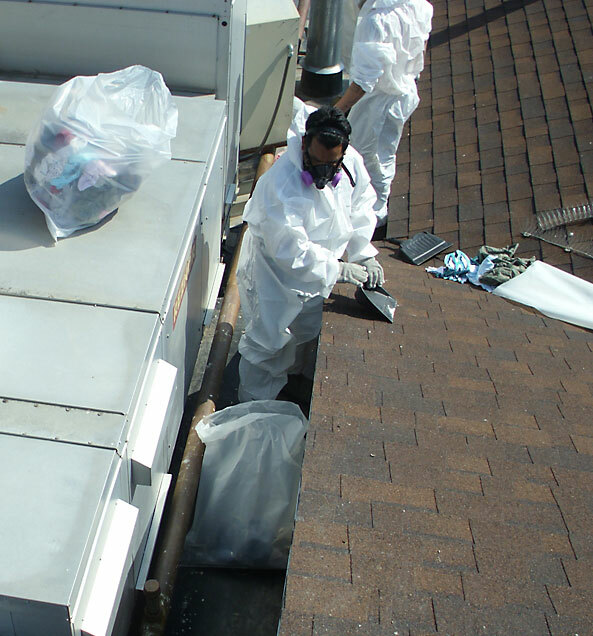 The roosting of pigeons, other birds or the nesting of rodents can expose the commercial building to unsightly highly acidic staining and surface damage. Pigeon waste and nesting debris that plug roof drains and downspouts can cause flooding, as well as block flues and chimneys causing fires and back drafting. Pigeon and other bird droppings contain undigested seeds and other foods providing an excellent source for rodents, fleas, ticks, mites and lice. "The job was completed as expected and I recommend CHC!" "This company is reliable and has good past performance!" "The house was clean when they left and I was told the total scope of work before they began." Bird infestations and bird droppings as well as droppings from rodents and insects, can contribute to diseases including histoplasmosis, salmonella, legionella pueumophilla, and other lung diseases or conditions including, asthma attacks, Hantavirus Pulmonary Syndrome (HPS) and allergic reactions. The formation of toxic molds can be magnified due to the added debris associated with nests and droppings, especially if the commercial building has some sort of defect allowing moisture to enter. Extensive damage has been discovered in occupied commercial buildings where access to attics or crawl spaces is readily available. The repair of damage can be very expensive if left untreated. 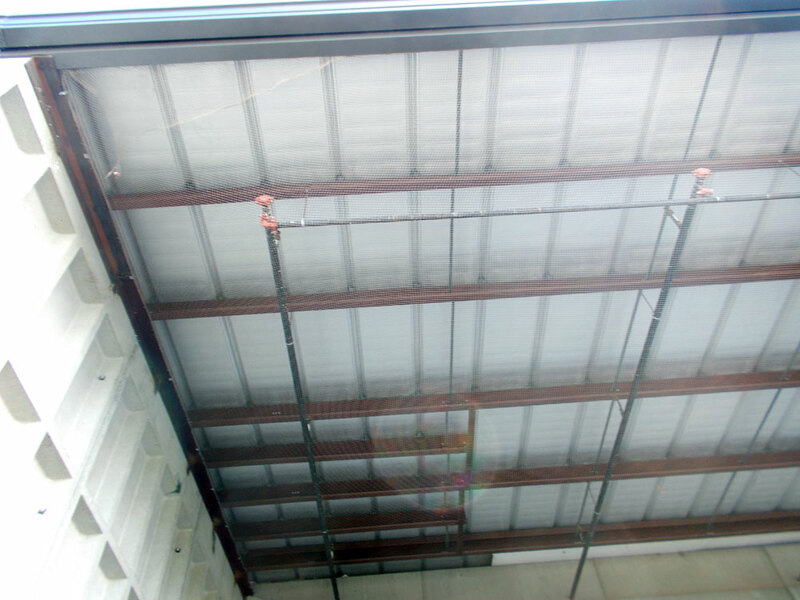 It can occur very rapidly and can necessitate the demolition of large ceilings and other finished surfaces. The subsequent necessary cleaning and disinfection can require extensive efforts and then mandate the replacement of removed items typically requiring occupant relocations. The Colorado Hazard Control process involves an extensive investigation by trained professionals on site at your location. The process clearly identifies the problem, discovers the source of the infestation and the access points. 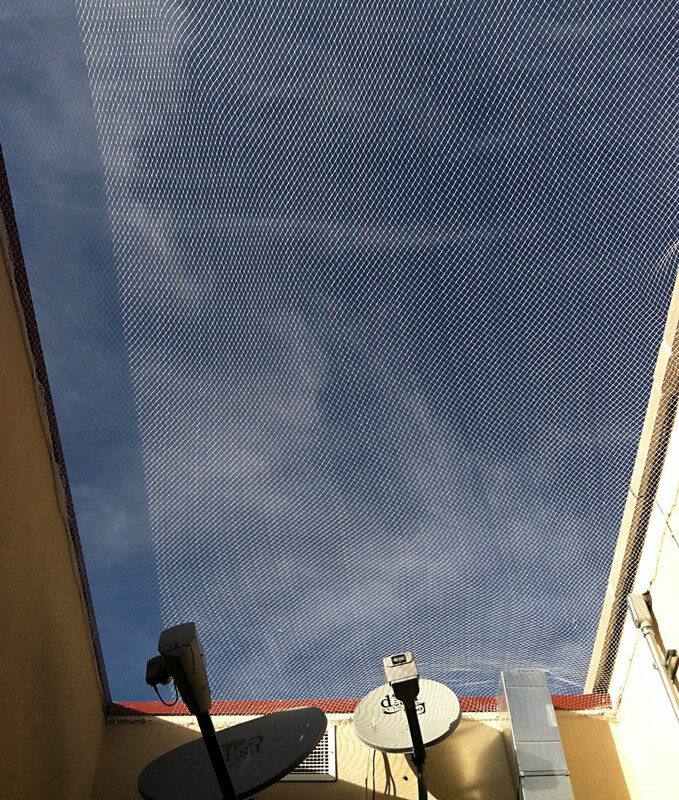 This information is the platform used to develop the extent of the cleanup and the design of pigeon, other birds and rodent control devices. During the cleaning process we utilize cleaning agents recommended by regulators and industry professionals. These were all developed by the health care industry and are safe and effective alternatives to bleach which can cause a host of secondary issues. All of our air filtration equipment and vacuum cleaners utilize HEPA filtration and are specifically designed for this application. A common problem connected with infestations and the cleanup process is odor. The utilization of air filtration equipment when correcting interior issues eliminates odor migration during the process and ensures the safe performance of project activities in work areas adjacent to occupied areas. We employ the latest cleaning technologies and odor resolution strategies. We perform the complete removal of debris and the decontamination of affected surfaces, before chemicals are utilized to neutralize odors. This process reduces employee exposure issues and prevents secondary occupant reactions to chemicals. 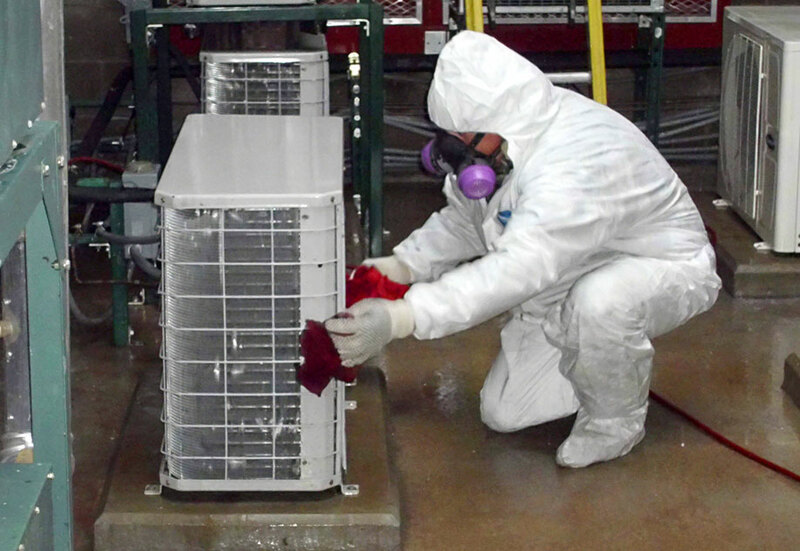 All Colorado Hazard Control team members are cross trained to recognize other safety issues including confined space, scaffolding, fall protection, and are State or EPA certified for asbestos, lead based paint and mold remediation. This additional training makes Colorado Hazard Control the only choice able to handle any situation ensuring a turnkey approach to the resolution of your issues. Have more questions about birds & rodents? See frequently asked questions on birds & rodents.